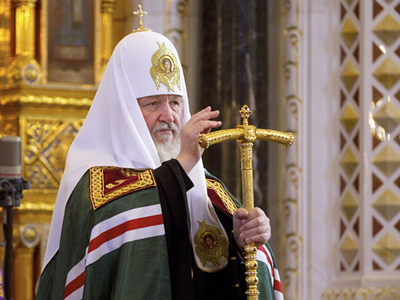 The Patriarch of Moscow and All Russia, Kirill, is making his traditional Christmas address to the nation. 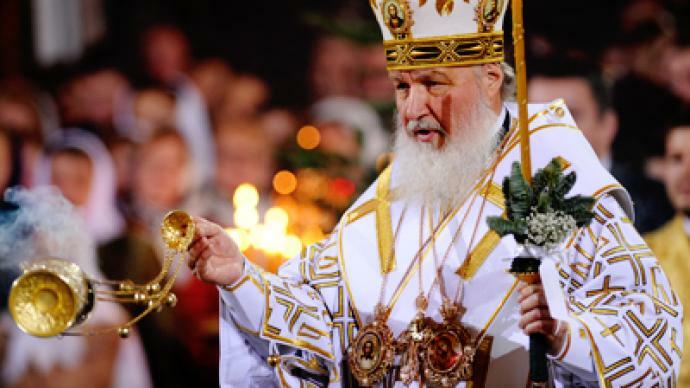 ­Dear brothers and sisters, with this holy service we start our celebrations of Christmas, we become part of the event, the meaning of which is so grand that understanding it could dramatically change the life of a person, like Christmas itself changed the life of all people and the evolution of human civilization. Christmas opened up new horizons and allowed us to understand the meaning of people’s existence never before acknowledged, even by the most prominent minds. And the meaning of Christmas is that God is not somewhere far, God is not who the ancient feared. God wished to become man, he came to the World and really became man, one of us. What does this mean for us, for people, for mankind? It means that if God is here with us, it is easy to ask for his help. In the most difficult, unholy times even people who didn’t consider themselves believers would turn to God. Like during war, soldiers would cry “Lord save us”. They would feel their way to God, they found him in the most extreme situations. We do not need to be in an extreme situation now, repeating the mistakes of previous times. We are free today, we can be next to God if we only wish to be. And if so let’s be close to God, understand him with our minds, find him in our hearts and souls, feel the grace of God. Not through thunder and lightning, not as a powerful Master. God, our Savior came to Earth as a simple man. He became one of us and that is why the fate of each one of us is close and clear to him. He is with us. That is why we say the wonderful words, that will be heard in the upcoming service – God is with us, resign yourselves into his hands, God is with us. I would like to wish from my heart that you feel God’s presence in your minds and in your hearts and not only in minutes of hardships, but throughout your whole lives. And having felt God, to understand what a blessing it is – the Lord’s presence in a human life. Happy Christmas! May God’s blessing touch upon our nation and each one of us. 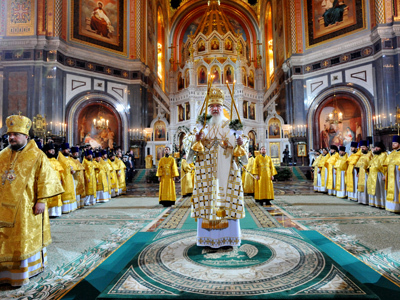 Christmas is a major religious holiday in Russia. 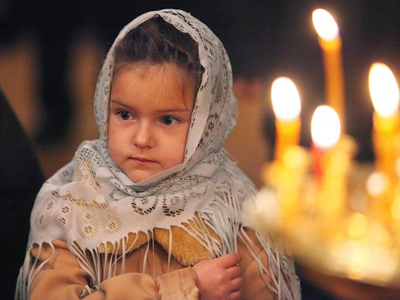 It is celebrated on January 7 rather than December 25 because the Russian Orthodox Church follows the Julian calendar. More than 30,000 churches and cathedrals are holding Christmas vigil services. 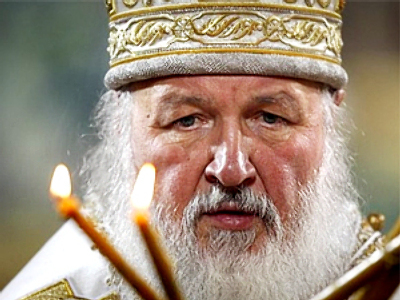 Patriarch Kirill is leading the Christmas liturgy in the Cathedral of the Christ the Savior in Moscow.